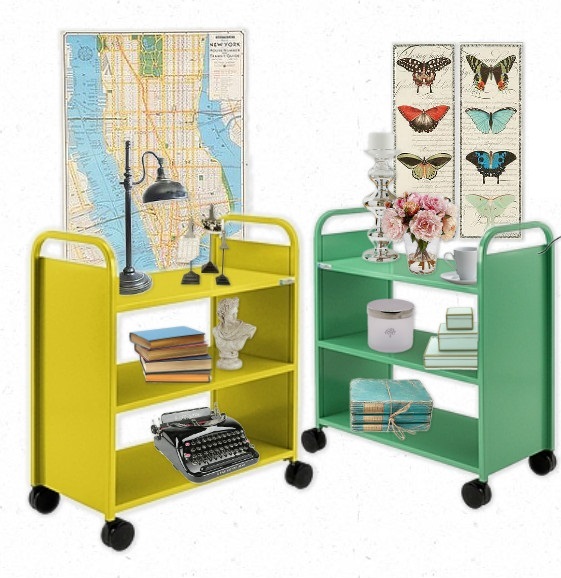 I stumbled upon this adorable piece of furniture on Pinterest today. It's perfectly retro and I just have to gush about it. 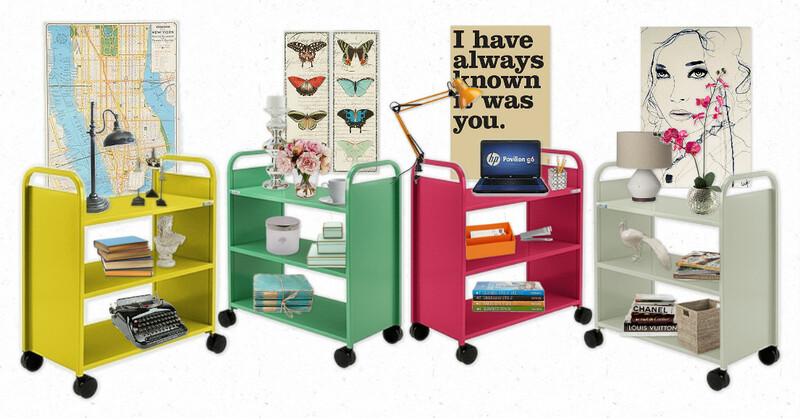 The Flat Shelf Book Truck, available via School Outfitters, is a modern piece of furniture reminiscent of vintage school libraries. What I love about it (besides the sixteen delightful colors it comes in) is its versatility. 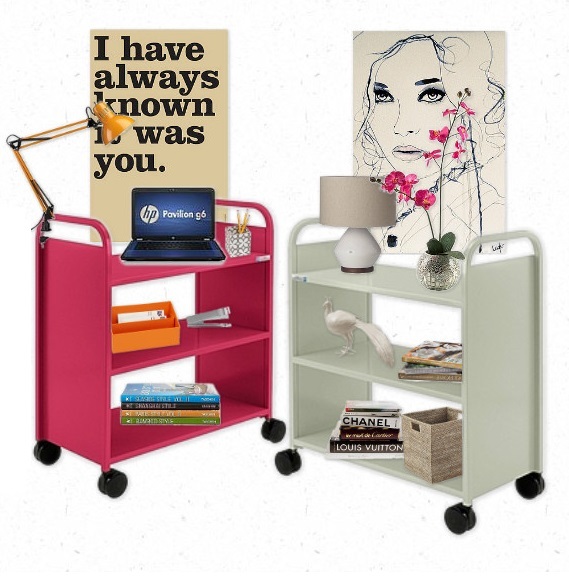 You could use this darling as a bookshelf, nightstand, side table, entertainment center if you have a small flat screen, mobile desk space, vanity, bathroom storage, dry bar, kitchen cart, etc. I had a little bit of fun styling my four favorite colors of the book truck on Olioboard.